Being a long running series it’s only natural that the gut wrenching scenes in One Piece would start to pile up. Seeing as now there are over 800 chapters, throughout a whopping 80+ volumes, this list really could go on and on, but instead of writing a book about all of the saddest moments in One Piece I have decided to narrow it down to seven. So without further ado here are the 7 Saddest Moments in One Piece (through my eyes of course). The Going Merry was not only a precious gift to the Straw Hats from Usopp’s good friend back in his hometown, but it was also the very first ship to ever fly the Straw Hats jolly roger. It held a special place in the hearts of each and every crew member. Through the many storms and battles The Going Merry and the Straw Hat Pirates managed to form a very special and loving bond. Of course, with no real shipwright on board the vessel, The Going Merry, was merely bandaged up with old 2 x 4’s to try and cover the mounting wounds brought on by the treacherous journey through the Grand Line. This was not for a lack of love for the ship, but rather, for a lack of the technical skill to properly repair her themselves. No it was not due to a lack of love, in fact, the love was so strong between the crew and the Merry that, like something straight out of old folklore, took on a life of her own. Before her passing she even managed to help the crew escape from Enies Lobby mid buster call. This courageous voyage, however, would be her last. Taking them only as far as an allied ship before her keel gave way and she snapped in two. That very spot on the Grand Line, in between Water 7 and Enies Lobby, is where the Going Merry rests to this very day. With a viking style funeral, in honor of her, Luffy lit her on fire so she may finally rest in piece. With heartfelt goodbyes and apologies exchanged the Merry’s final words were, “I’m sorry, I wish I could have taken you guys a little further.” As she sank to the bottom of the sea. There’s not a man out there that respects Luffy more than Zoro. A man whose strength makes him fit to be a captain himself, loyally fights by Luffy’s side as his first mate. There has been a few other times that Zoro has shown his unwavering loyalty and love for his captain, but none more serious than on Thriller Bark. WIth his captain laying unconscious on the ground, having just fought and beaten the warlord Maria, the warlord Kuma the Tyrant arrives on Thriller Bark to take Luffy’s head. Knowing he couldn’t defeat Kuma, Zoro instead offers to exchange his life and his dreams for his captains. Kuma is moved by this act of loyalty and accepts his offer to die in his captain’s stead. Sanji tries to intervene offering his own life instead, but Zoro, having no part of it, knocked Sanji out and prepared for his death. Kuma, using the power of his Paw-Paw fruit, repels all of Luffy’s pain and fatigue out of his body into a palpable ball of red death. Kuma explains that he will allow Luffy to live, but only if Zoro takes on all of the pain Luffy has suffered since arriving on Thriller Bark, and then throws a mere fraction of it Zoro’s way to test his resolve. This tiny piece of pain sent Zoro facedown into the dirt writhing in pain. Zoro stood up, and asked to do this in a different spot so his friends didn’t have to see what had occurred when they awoke. Kuma obliged. Once they arrived to a suitable location Zoro, without a second thought, embraced death and jumped into the red mass of pain. Upon waking up Luffy was jumping around claiming he felt good as new. As soon as Sanji woke up–and saw Zoro was nowhere to be found–he immediately ran off in search of his crew mate. The Straw Hats had met face to face with Kuma the Tyrant only once before, and it left Zoro on death’s doorstep. This time not only were the Straw Hats up against Kuma, but also Admiral Kizaru. If it wasn’t for Silvers Rayleigh–Gol D. Roger’s right hand man–the Straw Hats journey would’ve ended right then and there on the sunny island of Sabaody Archipelago. Kuma’s devil fruit–the Paw-Paw Fruit–gives him the power to repel anything with the palm of his hands. It’s said that if you get hit with his palm you’ll be sent flying for three days and three nights landing god only knows where–if you don’t die in the process. Before they could react, with the mere touch of his hand Kuma made Zoro vanish. No one knew if he was dead or alive. He was just gone in the blink of an eye. For the first time on their treacherous journey, facing insurmountable odds, Luffy ordered his crew to run as fast as they can… for the first time, he ordered them to retreat. The order sent shock waves throughout the crew. Their faith in their capitan is unshakable. Each crew member truly believe they are following the man that will be the next King of the Pirates, a man that can, and will, overcome anything, to them this is an undeniable truth. And they have staked their own lives on this truth time and time again. With an order of retreat, the reality of the situation sank in. The order itself, however, meant nothing. The next to fall was Brook. Seeing another member erased right before his eye’s Sanji can’t help but to attack Kuma. He’s swatted away like a fly. 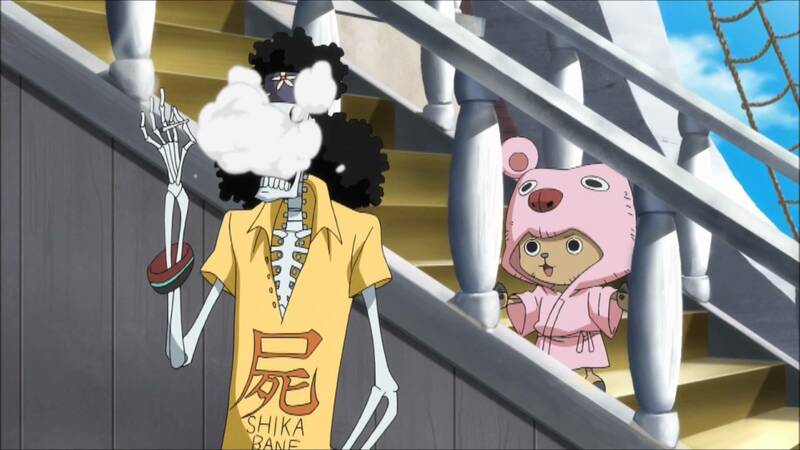 Kuma’s eyes are set on Usopp. A barrage of flaming stars did less than nothing, and with a single touch by Kuma, Usopp was gone. And then Sanji. Franky was next. Nami managed to beg, Luffy… Help me, before she disappeared. Chopper switched into monster point, in hopes of saving what little of his friends remained, but it was useless. Gone. Kuma slowly walks towards the defenseless Nico Robin. With her arm reached out towards Luffy, Robin screamed out his name…gone. That was it, Luffy’s entire crew destroyed while he helplessly watched, unable to even so much as slow down the wholesale slaughter of his crew. Broken Luffy falls to his knees with Kuma the Tyrant towering over him. “You and I… will never meet again.. Farewell Straw Hat.”, said Kuma as he erased Luffy off of the face of the sunny island of Sabaody Archipelago. The relationship between Bon Clay and the Straw Hats started off on a great foot. Saving him while floating out on the grandline, Luffy and Bon Clay instantly hit it off. The relationship quickly deteriorated, however, once the Straw Hats learned he was in fact Mr.2, and part of the Baroque Works organization seeking to take control of their friend Vivi’s Kingdom, Alabasta. It wasn’t much longer after that, that Luffy and his crew stopped Crocodiles plans in their tracks, handily beating Baroque Works, saving Vivi’s homeland. Though they fought as enemies, Bon Clay, never forgot the friendship he had developed with the Straw Hats, and proved what it meant to him when he and his crew fought off the marines so the Straw Hats could escape unharmed from Alabasta. Luffy knew of this act of sacrifice, but he didn’t know the true cost Bon Clay paid for it. Bon Clay was captured and taken to the marine prison Impel Down, where he was convicted of piracy and sentenced to rot away in his cell deep under the Grand Line. Luffy was unaware of the cost of his sacrifice until he found himself deep in the bowels of Impel Down, with the hopes of saving his brother that was being held captive there until his public execution that was slotted in just a few days time. Reunited Luffy, and Bon Clay, tore through Impel Down with a single minded purpose–to save Ace. When it became known that they were too late, and he had already been moved, that purpose became to escape the hell known as Impel Down. WIth the help of many more allies, Luffy and his friends were able to make it on a boat and set course for Marineford. Marineford, however, was unreachable without first having opened the Gates of Justice. The only way to accomplish this? Well that would be in the engine room of Impel down, and only by the hand of the warden, Magellan, could they be opened. Bon Clay knew this, and without hesitation he set out it make it reality. Without a word Bon Clay had snuck off, and using the powers of his Clone-Clone Fruit, Bon Clay impersonated the warden, and set off to open the Gates of Justice for his friend. This time though, albeit much to his dismay, Luffy was able to say goodbye, and thank Bon Clay for everything he had done with the help of a transponder snail. Bon Clay’s last words to Luffy… You have to save your brother at any cost… I know that you can save your brother for sure! And with those words Luffy crossed to the other side of the gate, effectively cutting off all communication with the now stranded Bon Clay. Even in the depths of hell… blooms a beautiful flower of friendship…leaving its petals as momentos…bobbing back and forth on the waves…may it one day bloom once more… the Okama Way! 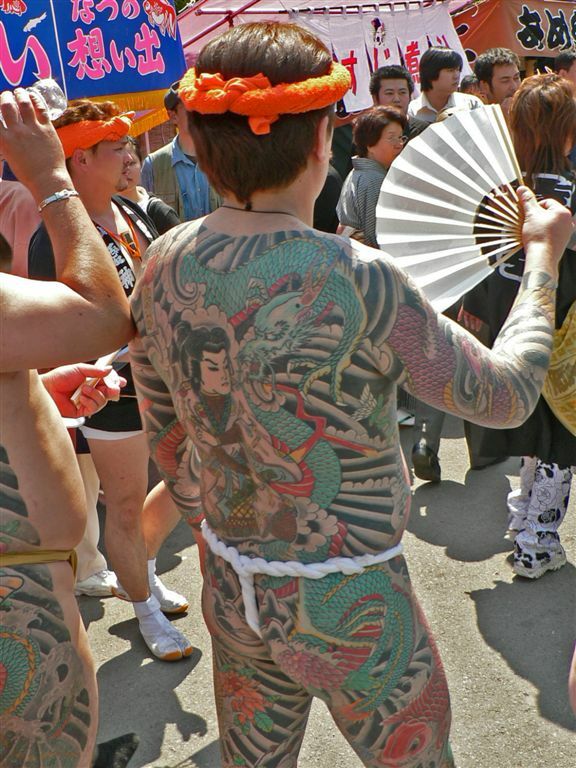 In the Okama fields…let us meet again! Tragic backstories seem to be be a running theme in One Piece, but it’s hard to find a backstory more tragic than Nico Robin’s. Born in Ohara, into a family of archeologists that seeked to find out the hidden truths of the long since forgotten void century, Robin was forced to live her childhood days as the unwanted stepchild to her aunt and uncle. It didn’t help any that she was a monster, or so, that’s what the other kids called her on account of the powers she had been granted by the Flower-Flower Fruit. Robin paid none of this any mind though. She was too busy with her nose buried deep in books in hope to one day catch up to her mother who had left on a journey in search of the poneglyphs, and every intention of learning the secrets of the void century. The void century. A mystery that plagued the minds of every historian on the peaceful island of Ohara. Their research, however, was forbidden knowledge that had been outlawed by the World Government long ago. Once they were found to have been researching the void century and the poneglyphs, the World Government did not hesitate to activate the buster call that wiped the peaceful island of Ohara completely of the map. The tragedy of Ohara left only one survivor, Nico Robin. If it had not been for her gentle giant of a friend, Jaguar D. Saul, Robin would have met her untimely demise that afternoon. Now torn from her quiet life, now having seen all of the people she had ever loved killed before her very eyes, Nico Robin, an eight year old child was pushed into a life of solitude and loneliness. Growing up a criminal on the run, being told her whole life her crime is her mere existence, she fought hard in pursuit of the knowledge that all of her friends and family died seeking. After years and years of searching for answers with no results, Robin had taken all she could of this miserable existence she had been destined to trudge through. She was ready to give up. She was ready to die. Luffy, however, had no intention of letting her die, and instead dragged her out of the building that was crumbling over their heads. Having forced her to keep living, Robin, once the enemy of the Straw Hat Pirates, told Luffy he needs to take responsibility and requested that she be allowed to join his crew. Over her time as Straw Hat, Robin and the crew formed a deep bond, a bond that she hadn’t felt since she was eight years old. They laughed together, went on adventures together, they fought side by side. Jaguar D. Saul’s words had been lost on her through her 20 years of hell, but finally she realized she wasn’t alone any more—she found the friends Saul told her she was destined to meet. So when her past reared its ugly head Robin knew the course of action she needed to take. It was her or the Straw Hats. At least, that’s what the World Government offered her. If she did not willingly go into the custody of the Marines, they had authorization to unleash a buster call—the very same means used to bring her home of Ohara to an end. Robin felt the choice was clear. As long as the six remaining members of the Straw Hat Pirates could leave the island safely, she would do anything the government asks. And so Robin was arrested by CP9 on the island of Water 7 and transported to Enies Lobby. Where she would be tortured before she was sent to the gallows for the crimes of seeking the truth of the void century and piracy; for the crime of her very existence. What she didn’t realize, was that Luffy and his crew would not accept these terms. She didn’t know the Straw Hats would charge headstrong into Enies Lobby, and declare war on the the World Government, just to pry their friend from the clutches of the dark history that’s held her captive her entire life. I can live?… I never dared to wish for something like that.. The word had denied me that hope.. She thought as Jaguar D. Saul’s last words ran through her head. But now…If I’m allowed to say my wish… just this once.. then I..
“I WANT TO LIVE!!! TAKE ME OUT TO THE SEA WITH YOU! Luffy’s journey through life has not been an easy one. Born into a family whose members ambition lead them far away from anything that would’ve resembled a normal family life; Luffy had always been alone. Sure he had the mountain bandits that were raising him, and the people of his village that looked out for him, but that isn’t family. When Luffy met Ace and Sabo his life would change forever. The three of them would grow on to form a bond stronger than that of ordinary friends, the three of them became brothers. Each with the desire to be a strong pirate some day they pushed each other day by day towards their goal. After the tragic loss of their brother, Sabo, Luffy and Ace’s bond would only grow stronger as the years passed by. Ace, being older than Luffy, would set out on his journey before Luffy. And though separated, their love for one another would never wane. When Luffy caught wind that Ace was set to be publicly executed by the Marines, Luffy sought to seek his refuge. With the help of many allies, both gained and lost on the way, Luffy was able free Ace of his shackles. However, Ace’s freedom was short lived. When Akainu, a Marine Admiral, set his sites on Luffy, Ace jumped to his defense throwing his body in front of Admiral Akainu’s assault. Once Admiral Akainu’s magma laced attacked pierced Ace’s chest, his vivre card started to burn away just out of the reach of Luffy’s hand. Luffy looked up in horror and disbelief at his dear brother, before his dying brother fell into his arms. Luffy, with tears in his eyes and psyche on the verge of crumbling held his dying brother, reminding him of the promise he made Luffy when they were children, that he would never die no matter what. Ace spoke of their brother Sabo, and how he wished he could see Luffy’s dream of becoming King of the Pirates become reality. He told Luffy how he lived his life the way he wanted, and would die with no regrets. With death fast approaching, Ace asked Luffy to bear the burden of carrying on his last words. As his father did before him, Ace died with a smile across his face. The same could not be said for Luffy. All of his strength crumbled with his brothers dying breath. Luffy was broken, his closest friend, his rival, his brother laid now dead in his arms. Way back when the Straw Hat Pirates were just getting their sea legs under them they found themselves chasing after Nami, who had sped off to her home island with Luffy’s brand new ship, The Going Merry. Once the crew arrived, they found Nami’s home to be completely void of any comfort. In fact, Luffy, Zoro, Usopp, and their brand new cook, Sanji, learned that Nami’s entire island had been held captive under the control of the notorious Fishman pirate crew; The Arlong Pirates. Since childhood the only thing Nami new to be a fact of life was, the Arlong Pirates were not to be crossed. They had killed her mother, stolen her home land, and terrorized her friends and neighbors for years. But Luckily for Nami, being the cunning and brilliant girl she is, she struck a deal to buy back Cocoyasi Village from Arlong for 100,000,000 berries, and with no time constraints on the deal. The catch: She had to join the Arlong Pirates, and draw sea charts for them till she had the money to buy back her village. After years of life threatening hard work, stealing treasure from pirates, Nami was mere berries away from the amount needed to buy back her home. Arlong, however, was not ready to give up his prized navigator and collaborated with a corrupt Marine Captain to steal all of her hard earned berries. When the townspeople learn that Arlong had betrayed his deal with Nami, they gather together and decide enough is enough–today is they day their suffering ends–be it through victory or death. Nami tries desperately to convince her friends and family that the money isn’t a big deal, that she can collect it again in half the time, but they were tired of her carrying the burden all alone, and raced off with swords and pitchforks in hand to certain death. Nami, always strong and composed, broke down with grief. Falling to her knees she reached for her knife. She was sick of Arlong. Sick of the suffering and regret he had filled her life with. She was sick of having his jolly roger tattooed on her arm. She began repeatedly digging into the tattoo on her left shoulder screaming out his name every time the knife broke her skin, “ ARLONG!…ARLONG!”. I looooooove ONE PIECE! I agree with these scenes as some of the saddest, although my personal ranking is diffent from yours. Me too! Yeah I struggled putting them all I’m order! I know, right? I did, too, when I created my own list. I hope you don’t mind if I share you the link of my own saddest moments in ONE PIECE. I have 10 scenes included, and most of the scenes you have in your own list are in mine too, although the order isn’t the same. I didn’t even think about Daddans calling out Garp. That’s a great one! Thank you. Our list is pretty similar. Yes, that scene really made me cry. It was heartbreaking because the encounters between Dadan and Garp were usually hilarious. My top one has to be Dr. Hiluluk’s Death, Chopper’s back story, along with the ave maria soundtrack in the background in the anime, is just an intense concoction of a super sob story that tears me up everytime. Nice top 7 post. I love One Piece and I agree with all of what is mentioned. I still get teary for Merry’s funeral.